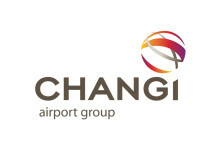 SINGAPORE, 27 October 2014 – Singapore Changi Airport registered 4.25 million passenger movements in September 2014, a decline of 0.5% year-on-year. Aircraft landings and takeoffs decreased by 5.0% to 27,020. On the cargo front, 147,800 tonnes of airfreight were processed last month, 2.7% lower than a year before. During the month, traffic to South Asia and Northeast Asia grew by 11% and 2% respectively, but other regions, including Southeast Asia, Africa and the Americas, saw lower passenger movements. Among Changi Airport’s top 10 country markets, India registered double-digit growth, while China and Thailand traffic dipped, down 6% and 9% respectively year-on-year. In the first three quarters of this year, 40.09 million passengers travelled through Changi Airport, 0.9% more than the corresponding period in 2013. Aircraft movements moved in tandem, growing by 0.6% to 255,260. During the same period, cargo shipments totalled 1.37 million tonnes, a growth of 0.3%. Passenger traffic growth in the first nine months of this year was fuelled by stronger travel demand on Northeast Asia, South Asia and Southwest Pacific routes. Southeast Asia traffic registered little change for the same period, as growth for Indonesia, Malaysia and Vietnam was offset by a 15% decline for Thailand. Jakarta continued to top the list of Changi Airport’s busiest routes this year, followed by Hong Kong, Kuala Lumpur, Bangkok and Manila. Traffic to and from Denpasar-Bali registered more than 20% growth in the first nine months, the highest among Changi Airport’s top 10 destinations. In the 12 months ending September 2014, Changi Airport registered 54.1 million passengers, representing a growth of 1.5% from a year ago. 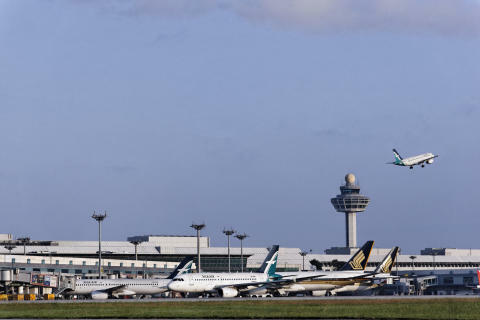 As at 1 October 2014, more than 100 airlines operate at Changi Airport, connecting Singapore to over 300 cities in some 70 countries and territories worldwide. With more than 6,400 weekly scheduled flights, an aircraft takes off or lands at Changi roughly once every 90 seconds. New Airline – Taipei-based low cost carrier Tigerair Taiwan (IATA: IT) launched its first scheduled service between Singapore and Taipei on 26 September, the seventh airline to operate this route. New Services – Tigerair launched a new weekly service to Jinan on 16 September. With this latest addition, Tigerair now serves seven Chinese cities from Singapore. On 19 September, China Eastern commenced a daily service to Lanzhou via Kunming. From 1 October, Air India offers daily non-stop services between Mumbai and Singapore, and between Chennai and Singapore, replacing the previous daily Mumbai – Chennai – Singapore service. With this operational change, Air India adds close to 1,800 one-way seats each week. New Stores – Popular durian specialist Durian Mpire has opened its second outlet in the Departure Check-in Hall of Terminal 2. Over in Terminal 3, local home décor chain Exim Arts has its first airport outlet, offering a selection of unique home and floral decorations for shoppers. New perfumes and cosmetics operator The Shilla Duty Free commenced operations at Changi Airport on 1 October. While operating the existing stores, Shilla will renovate them in phases until the beginning of next year, as well as introduce over 70 new brands to the existing collection by January 2015. Five other new retail outlets have also commenced operations in the transit areas of Changi Airport. In Terminal 2, shoppers have two new high end fashion boutiques to choose from, Bally and Longchamp. Over at Terminal 1, luxury brand Salvatore Ferragamo opened its first standalone boutique at Changi, offering a larger range of quality hand-made wares to discerning shoppers. Casual wear brand adidas Originals also opened its first airport store, delighting lovers of the signature three stripes, while last-minute souvenir hunters have a new option in Cocoa & Co, with its wide variety of chocolates and candies. ‘Be A Changi Millionaire’ Monthly Winner – Mr Qin Peng certainly had resounding luck on his side when he made his purchase of a pair of Audio-Technica earphones at Changi Airport last month. The 29-year-old Chinese gaming concept artist, who works in Singapore, was heading home to visit his girlfriend when he made the lucky purchase that made him the September finalist for the ‘Be a Changi Millionaire’ 2014 Grand Draw. Mr Qin will bring his girlfriend for the Grand Draw next year. “Because ever since I knew her, she has been my lucky star,” he said.